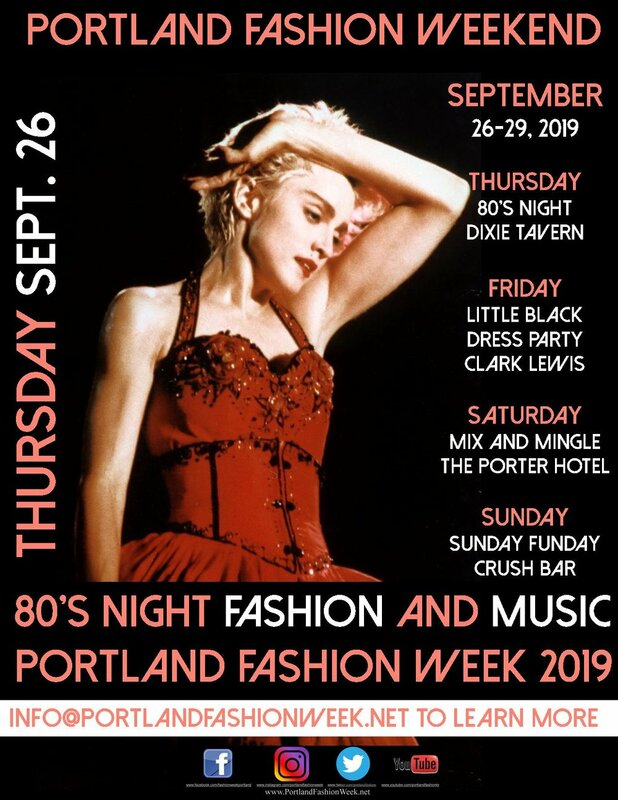 Portland Fashion WeekEND 2019! You found us clever one! We cannot wait to meet you! Here is your early invitation to the fun! Watch us here for more updates! Four fabulous days and nights of style, shopping, sales, fashion, and fun from the city’s coolest boutiques, salons, night spots and eateries. All leading up to Portland Fashion Week just 3 days later! Four Fun-filled days and nights of style, sales, fun, fashion and frivolity! Meet the designers! Mix, mingle, network and nosh from the gorgeous Porter Hotel! 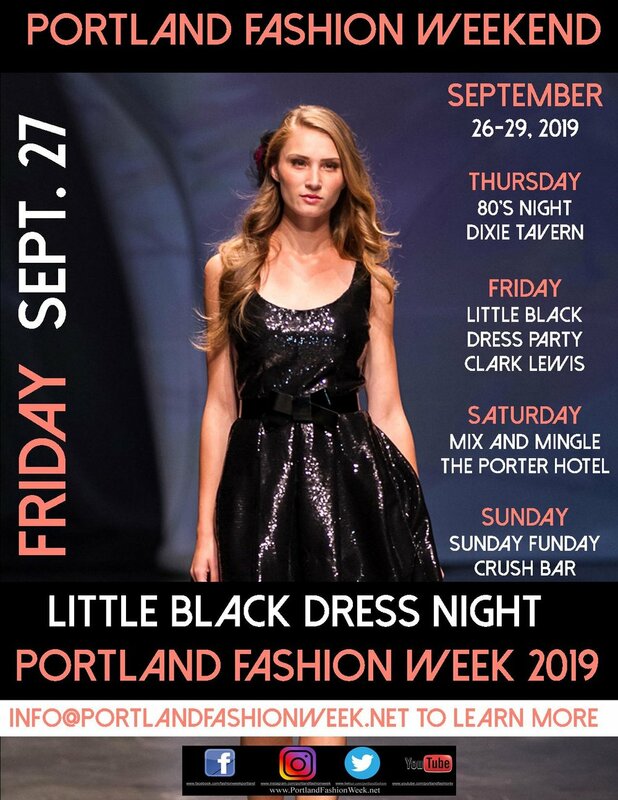 Hosted by Portland Fashion Week 2019. An homage to all things 80’s! Style, fashion, and flair from Dixie Tavern! Our homage to all things style! Hair-styling, make-up, and shoes! Oh my! Yes please! From CRUSH Bar! Our homage to the iconic “Little Black Dress” from ClarkLewis. ANOTHER first for Portland Fashion Week! Four fabulous days of sales, styling, nightlife and fashion!